Altec Lansing makes a projector that looks kind of familiar. 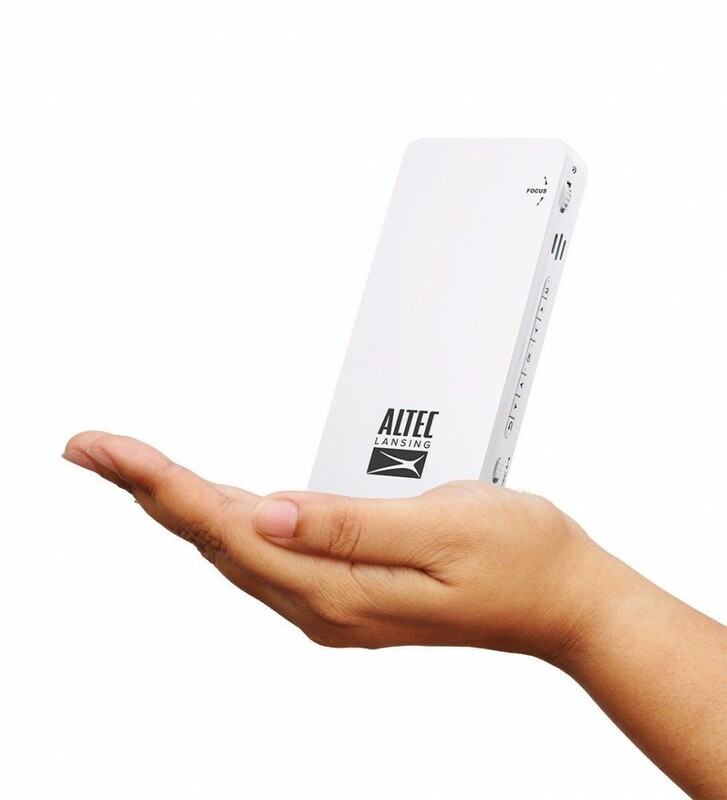 Altec Lansing has been around for a very long time (79 years to be exact) and we’re sure that almost everyone has had one of their speaker products at some point whether they were purchased at a store, included with a computer, or even put into a car stereo system. 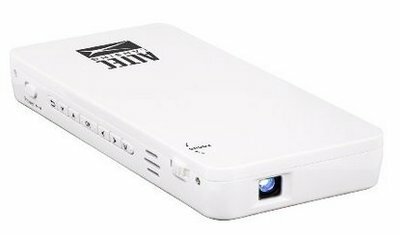 This is why we were surprised when we caught wind that the same company was going to be releasing a pico projector, and one with a mono 1w speaker at that. Today we’re going to be doing some coverage on this projector and giving you all the details about if this unit is worth it. Code named the PJD-5134 the Altec Lansing made projector does have some impressive specifications for its size, despite its likelihood to the LED pico. 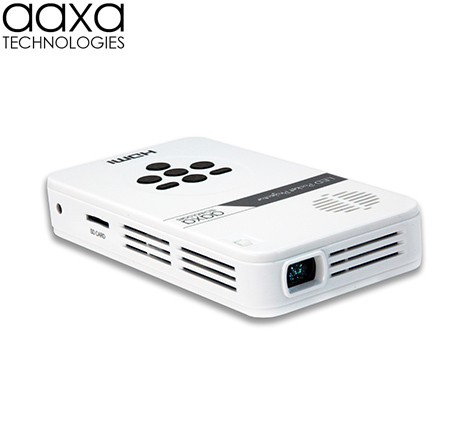 It sports a 135 lumen optical engine, 4000 MhA battery capable of 60 minutes, and a resolution of 854×480 which is actually starting to be considered low for pico projectors although at it’s small size we cannot complain. Speaking of its small size, as you can see from the image above, the PJD-5134 is small enough to fit in the palm of your hand, which also means that it will fit nicely into pockets, purses, briefcases, and laptop cases just as well. Currently however all of these great features come at a pretty high cost of $449. This is a price that we definitely think is going to need to come down for anyone to actually pick this product up off the shelf. Especially when you can get up to 550 lumens off other models for that price. We haven’t been able to get one of these units in yet to test but it’s definitely something that we’re looking to do in the future if possible. For now you can check it out for yourself by ordering over at Amazon.com, we’ll post a link below to the listing.